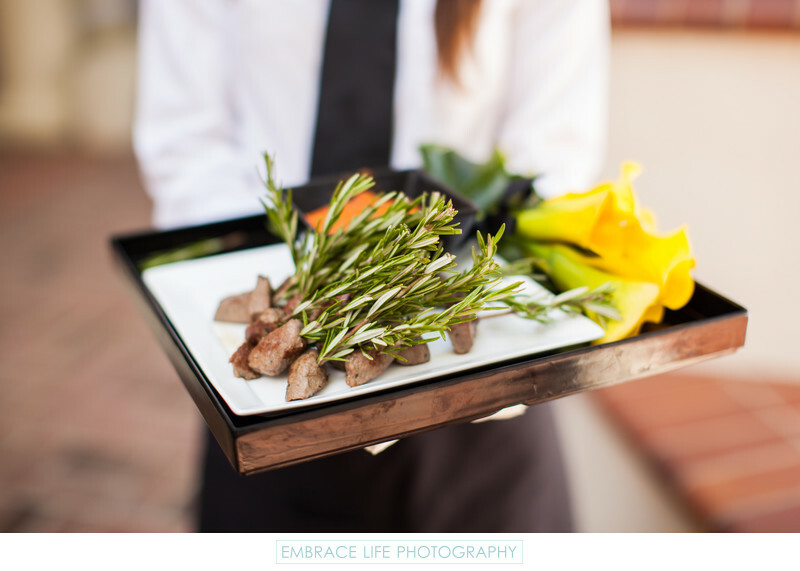 At a wedding photographed in La Cañada Flintridge, at a private residence, these hors d'oeuvres were beautifully presented. Small cuts of meat were creatively served speared with rosemary sprigs in place of cocktail toothpicks. A small arrangement of yellow calla lilies decorate the serving tray. Location: La Cañada Flintridge, California.